Soffits are the boards which run under the eaves, joining the outside wall of the house to the outer edge of the roof. They keep weather and wildlife out of the rafters. Ventilation points allow air to circulate in the roof which reduces the chance of rot and decay. Soffits should always be kept in good repair or the result could be damage to your property. Camberley Glass and Windows have a range of soffits in different materials and colours to suit any style of building. If you give us a call or visit our showrooms in Camberley, Surrey, our advisers would be happy to help you with your choice and explain the differences in the different products. Our soffits come with a full guarantee. 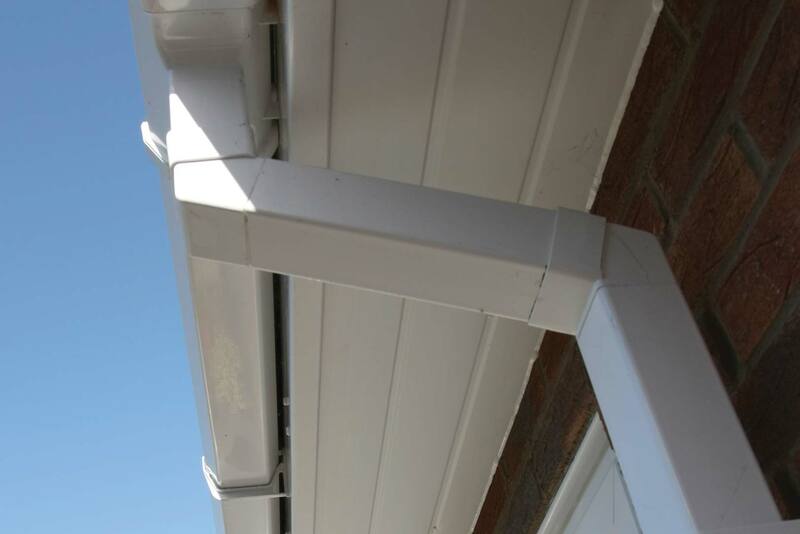 Soffits must be fitted correctly, and we have a team of professional fitters who are fully conversant with the current rules and regulations, and who could help you with installation. Our team is very experienced, indeed, many of our employees have been working together for more than 20 years. Camberley Glass and Windows have worked in Hampshire and the surrounding counties for nearly 50 years. We have worked with hospitals, councils, schools and homeowners to provide and install many different types of product. We score highly on the Checkatrade criteria, are also on the Buckinghamshire and Surrey Trading Standards Approved list of traders, and are FENSA registered. We do not employ commission staff or practise false pricing or gimmicks. What you will get from us in honest advice and an excellent service.